User discretion required : highly addictive. 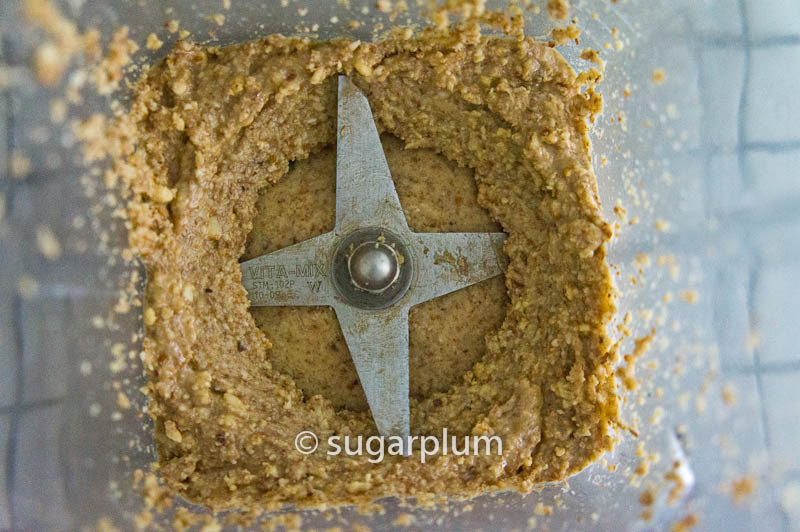 Yesterday, I made almond nut butter. Yup, from almonds. From scratch. Homemade. And, guess what? It's easy! It's delicious too! 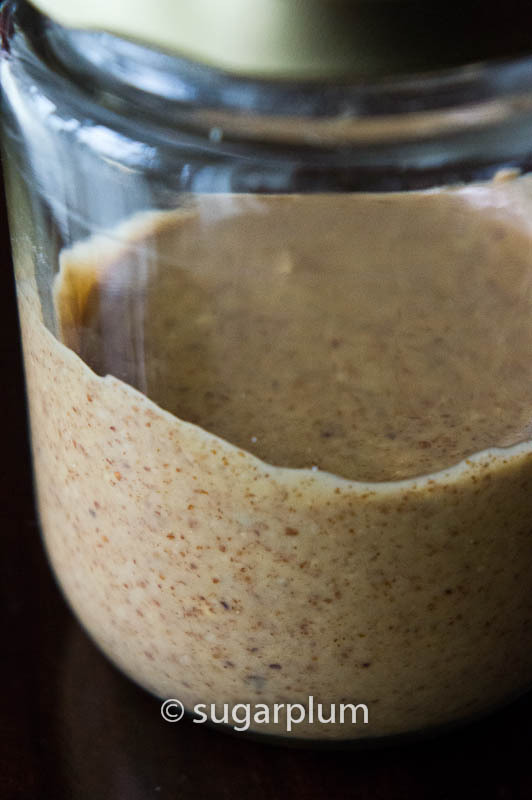 Almond nut butter isn't as ubiquitous as peanut butter, and my first taste of almond butter was a gift from a friend last year. It came from a health farm somewhere near Melaka, so I thought I'd be able to find it in most organic or health shops in KL. Duh. None to be found. If I wanted almond nut butter, it was either drive to Melaka to get a jar, or tumpang my friend who will have to drive to Melaka to get a jar. Much as I love food, no bl**** way for one bl**** jar. 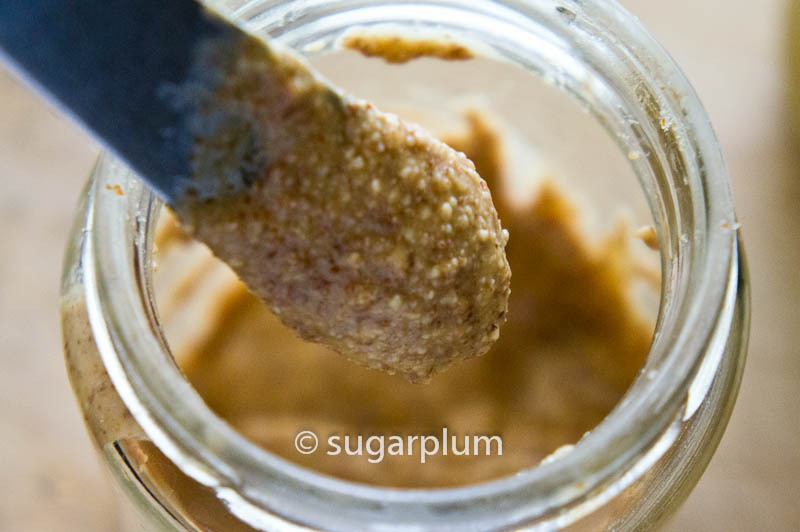 A couple of clicks later, and yes, almond nut butter can be made at home. Yippee! 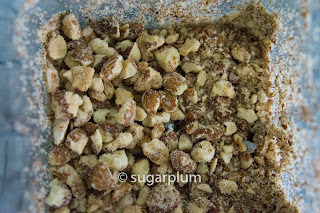 All you need is a blender or a food processor, almonds and some patience. It takes about 12 - 15 minutes. I used a Vitamix and had to pause frequently to scrape down the sides. 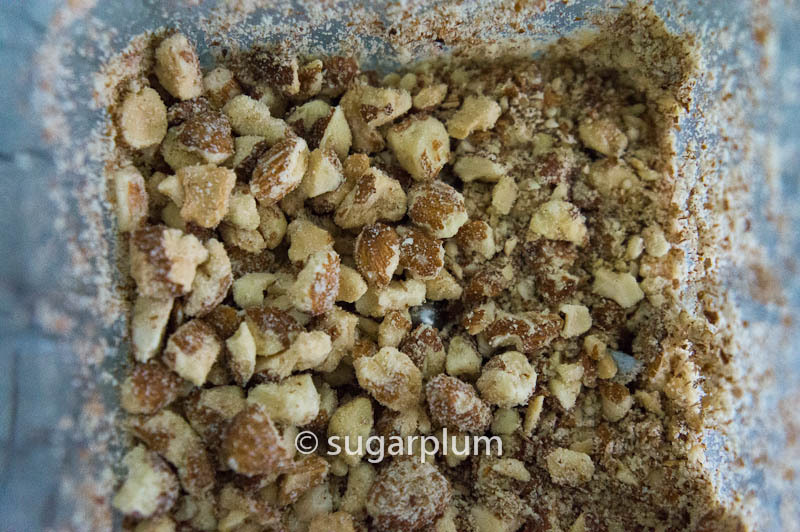 It smells yummy as you process because the almonds are releasing their volatile oils. I also kept to KISS and only added a little salt at the end to enhance the flavour. Some recipes add in a neutral vegetable oil like coconut, salt or honey. 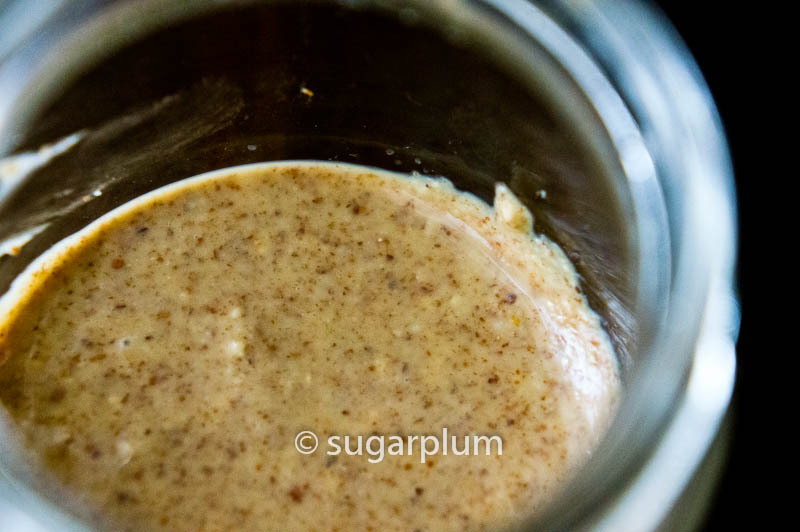 One thing to remember though, if you intend to add salt or honey, add those in at the end otherwise the almond butter may seize up and turn into a clumpy curdled mess. Best served slathered thickly on your morning toast. Or naked, licked off the spoon. Be warned. It is highly addictive. I licked off every last bits from the spoon...and spatula....and blender....Oh just give me the entire jar! 1. Place the almonds in the blender and turn it on. 2. 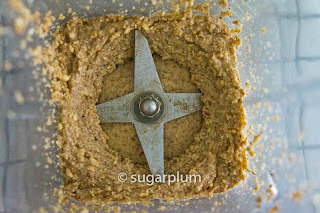 Pause at 30 - 40 second intervals - to scrape down the sides and also to avoid over-heating the blender. 3. 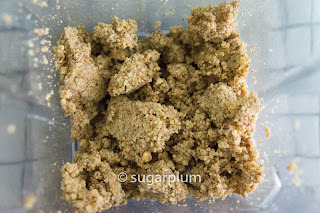 Mixture will start to get clumpy (about 8- 10 minutes) and ball up before it reaches the creamy stage. 4. 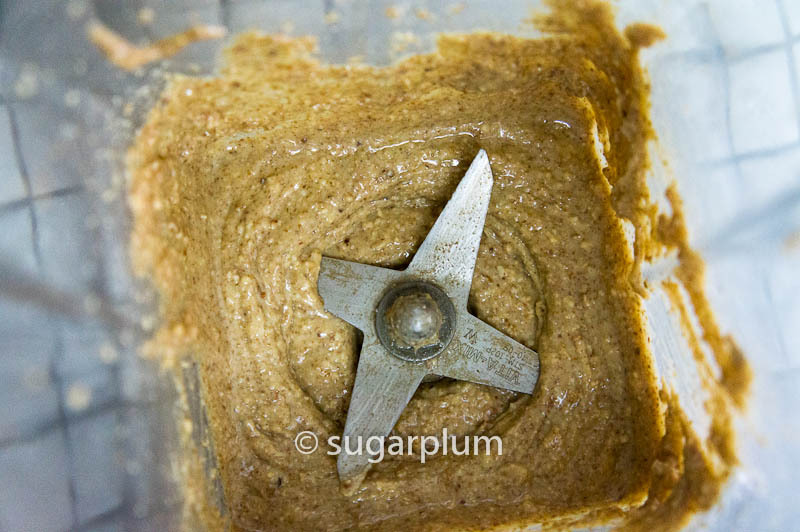 Once the almonds start to release their oils, it will get smooth and creamy. Blend until you get a consistency you like. Stir in some salt if you prefer. 5. Transfer into a jar and store in the refrigerator. There's almond butter being sold in the supermarkets here but as always, it's probably be healthier to make it at home. There's something that you absolutely have to try! Speculoo spread! it's simply awesome! 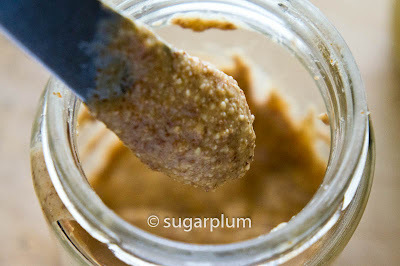 A spread with a consistency of peanut/almond butter but made with speculoo.. spiced biscuits! It's not easily found here but we got some from Amsterdam and more from a friend who visited Belgium. Read about speculator but no chance to try it here-leh unless it comes via air? See how I have to resort to making almond butter? But agree that homemade probably has less nasty stuff in it. Thanks Shamsul. Give this a try and let me know how it turns out. I love my Vitamix, difficult to live without it.